Soon after landing in Toronto my hosts Pat and Kelly put together a dinner with their friend Dan, who I’d met years back. It just so happens that Dan is a contractor who often works at building restaurants. In between bites of Graisse de Canard Fondue and sips of Canadian wine we talked about all the minutiae that go into making a restaurant, from the right cuts of steak to the right toilet paper. On his end, Dan mentioned that there are even industry standards in terms of urinals-to-meters-of-bar-top. This discussion prompted me to discover that New Zealand has an official “toilet calculator” for that very purpose. I brought up the Jerry Seinfeld joke about how professional baseball is actually, “rooting for laundry.” We think of pro sports teams as concrete objects, but the only “real” element is the uniform, everything else (the players, the city) is interchangeable. Restaurants too, are just a concept. 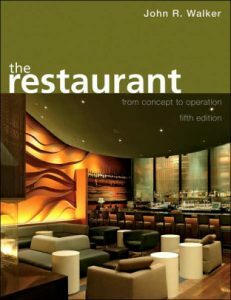 You can boil any restaurant down to a playbook, and then play that concept out in different locations. It’s what Chef Ludo Lefebvre did with LudoBites. Less of a restaurant, more like a band on tour. At this point in our meal, we all agreed that we could even put up a restaurant in the dining room where we sat. Pat and Kelly suggested that it was worth a shot, and since it was their house, why not?